Description: The most beloved of all flowers, the rose, is beautifully represented in this Meyda reproduction of a Tiffany Studio classic. Petal Pink, Romantic Red and Plum Passion art glass roses ramble on a maze of Garden Green leaves. 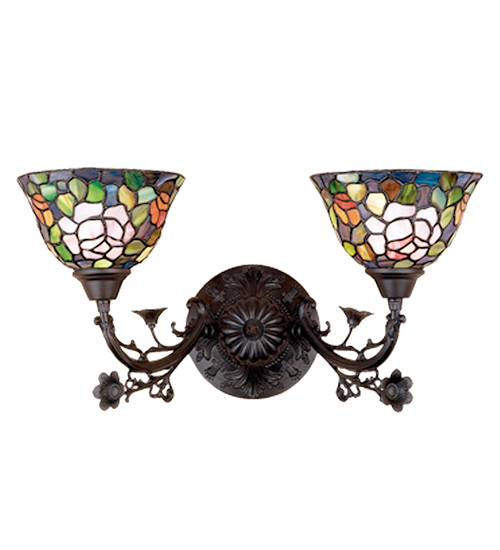 These delicate domed stained glass shades are paired with a graceful, hand finished Mahogany Bronze two light wall sconce fixture.